I’m Spilling All My Travel Secrets. You Can Thank Me Later. It’s no secret how overly obsessed I am with planning trips. I don’t just mean that I love going out of town but that I actually enjoy doing the research beforehand to figure everything out. I could honestly sit at my computer all day mapping out trips with incredible flight deals, the perfect Airbnbs and all of the must-see attractions. I don’t know what it is about planning a vacation that literally sets my soul on fire. And then actually going on the trip is when I fully realize over and over again that I was born to see the world. Because of this immense passion I possess, I constantly have people asking me all kinds of different things related to travel. 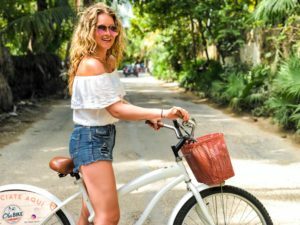 I decided to go ahead and answer some of the top questions I get in hopes that it will help you begin to realize that traveling the world (even on a budget!) isn’t as difficult as you might think. April 2018. Flåm, Norway is unreal and this breathtaking country happens to be the land of my ancestors. Visiting here was a dream come true. 1. How Do You Afford To Go Out Of Town So Much? This is hands down the question I get asked the most, so I figured I would get right to it. Although Jordan and I both have amazing jobs and make a great living, we are still not on the level of financial freedom to just book trips wherever and whenever. We like to be smart with our money and that includes how we travel as well. We’re always traveling on a budget and I promise you, it’s easier than you might think. First and foremost we never stay in the fanciest hotels. When we’re exploring a new city we hardly spend any time in the hotel room, so why would we spend an arm and a leg to sleep there?!!! This is something Jordan has gotten me accustomed to. (I used to always beg him to stay in the trendiest “Instagram worthy” hotel but now I realize it’s just not worth the money.) We book on Airbnb a TON and Booking.com is also a great resource, along with our trusty Hotel Tonight app for last minute bookings. (Use code DEDEFELICE to get $25 off your first booking on Hotel Tonight!) It’s not hard to get a great place to stay for a decent price. Just keep reminding yourself that you don’t need to stay in a five star hotel to enjoy a new city. April 2018. 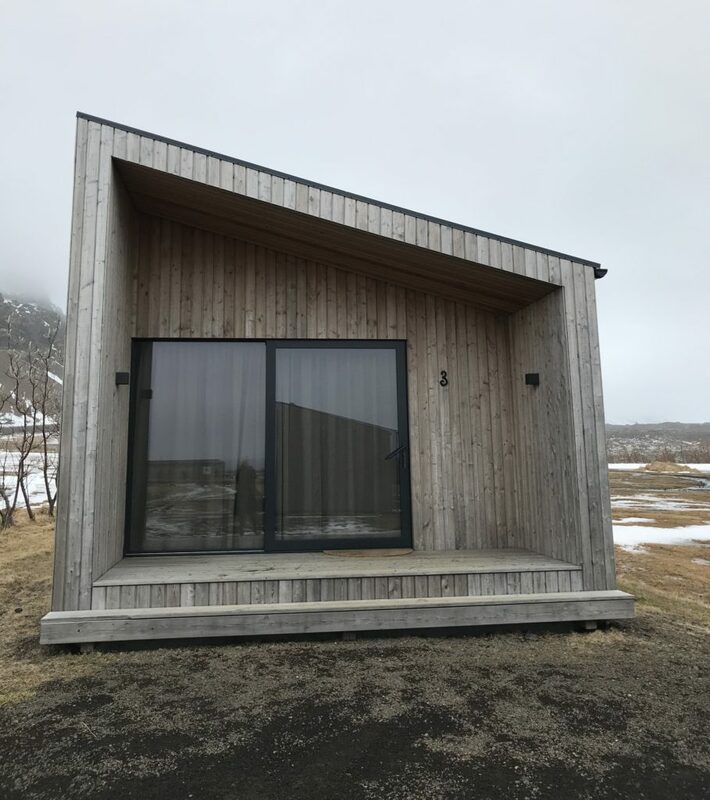 This cottage was one of the places we stayed in Iceland and it faces the ocean! So unique and so perfect. We paid about $150/night. Secondly, we take our chances and travel on the off season. This is the best way to get a deal on flights and hotels. 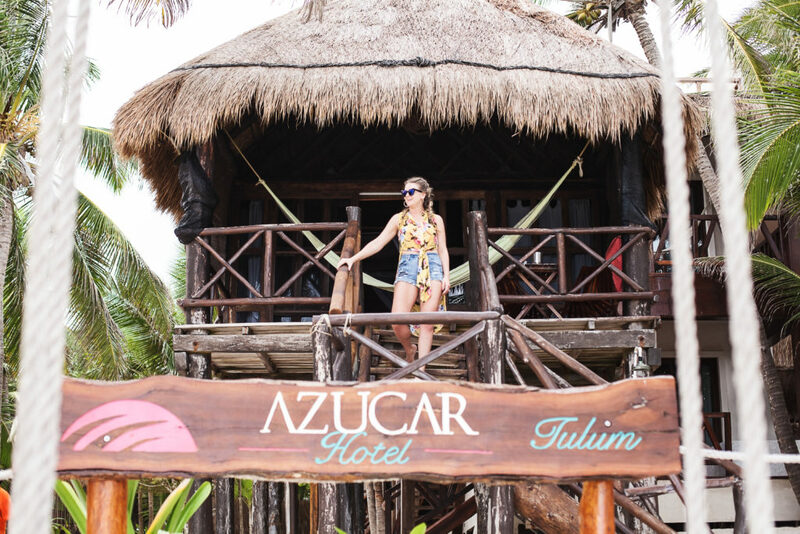 When we went to Tulum for our one year anniversary last October, we knew it was hurricane season and that was a little risky but our flights were $220/each round trip (out of Nashville) and we stayed in a bungalow directly on the beach for $120/night. It rained for less than an hour each day, the beaches and restaurants weren’t crowded and we saved a TON of money. Totally worth it. October 2018. Our little beach bungalow in Tulum! It didn’t have A/C, but when you’re 10 steps from the ocean, the breeze works just fine! 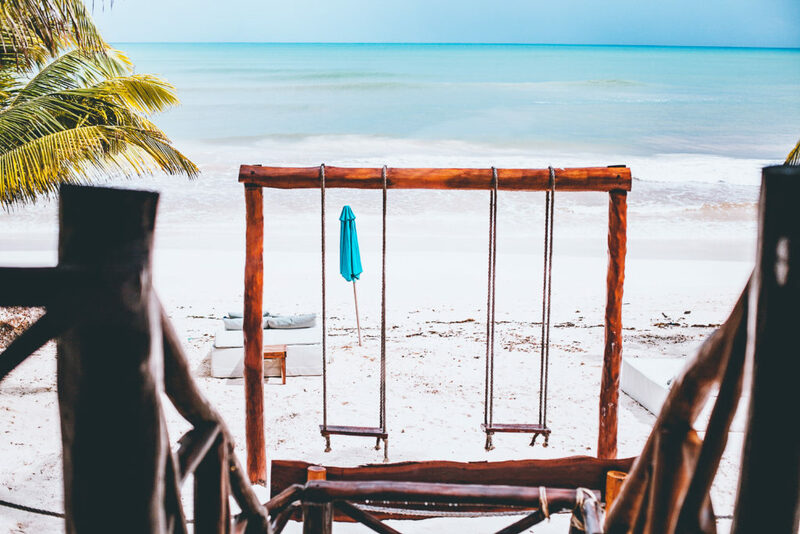 This is the view from that little gem of a bungalow in Tulum! What more could you ask for?! When we went to Italy this past February, our flights were $330/each round trip (out of Newark) and we payed less than $85 per night every place we stayed. Plus, we didn’t have to deal with all the insane crowds that gather in the summer months. And did I mention it was upper 50’s and sunny the entire trip?! Literally perfect. February 2019. 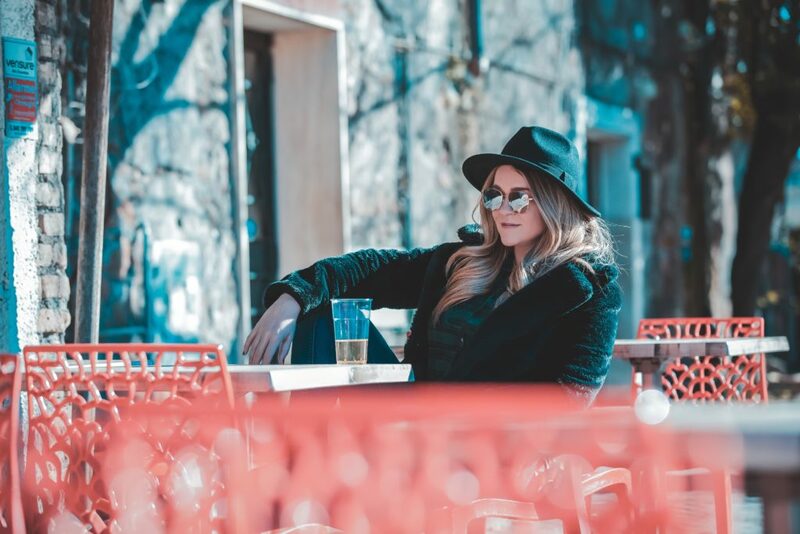 The perfect way to explore the incredible city of Rome is with a glass of Prosecco in hand. Obviously. That leads me to my next budget travel hack. I will never ever ever book a flight to Europe out of Nashville. It is about triple the price compared to flying out of Laguardia, Newark or Boston. Use your Southwest points (or just book cheap flights on Southwest if you don’t have points) to get to one of those locations, then book your flights from there. Yes it’s an extra stop, but I promise you that the amount of money you save is completely worth it. 2. How Do You Decide Where To Go? There are so many places to see in the world and I basically want to go to all of them, so there’s really nothing off limits when we are trying to decide where to go. Obviously there are some places higher on the list than others, but a lot of times we don’t really know where we’re going to go when we sit down to plan a trip. April 2018. 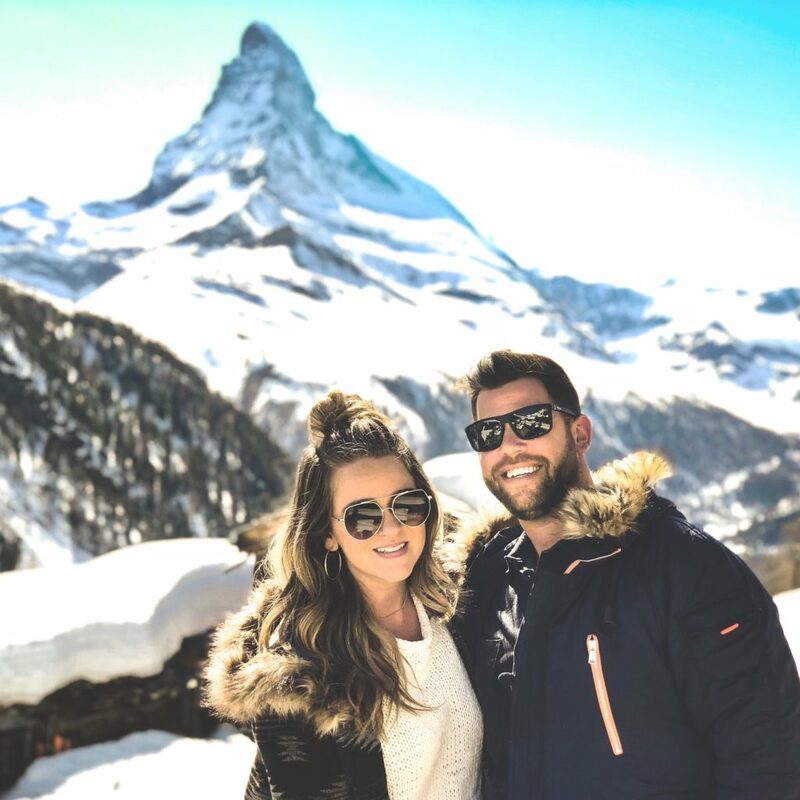 I always thought I was a beach girl….until I spent a little time in the Swiss Alps. We typically start by deciding roughly which dates would work for both of our schedules. Then we pour a glass of wine, sit down at the computer and open up Google Flights. In case you’re like really behind the times, let me explain to you how Google Flights works. You type in your dates and the destination you’re leaving from and you can pull up a map of the entire world and it displays how much it costs to fly to each location at that time, from that departing place. It is hands down the best tool for booking flights. You can even pull up a calendar to see rates for different dates so it’s super easy to find the cheapest dates to fly. I promise your life will change forever once you start using Google Flights. August 2017. 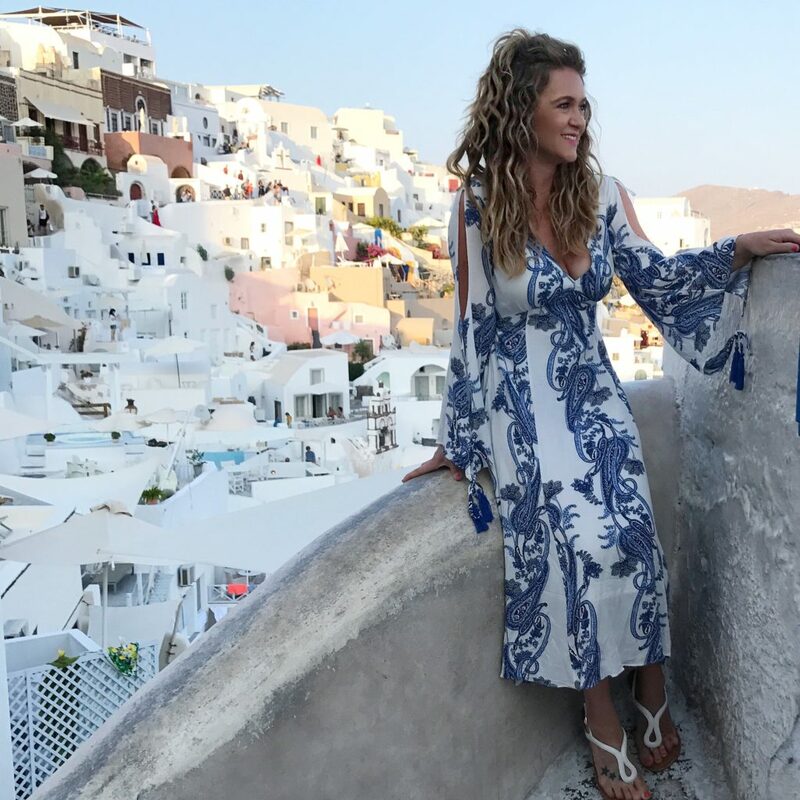 The first time I ever used Google Flights was when I booked my flight to Greece for $650 roundtrip, out of New York of course. (And I am determined to do better than that price next trip to Greece!) Santorini definitely did NOT disappoint! April 2018. This was hands down one of my favorite days ever. Wine tasting in Catalonia, Spain needs to be on your bucket list! Due to the fact that we are always talking about and planning another adventure, we constantly discuss what is on each other’s bucket lists, so I am always just randomly checking flights to destinations that I know we are hoping to visit soon. Once I find a killer deal, I put together a “This Is Why We Should Book This Trip” presentation for Jordan (complete with photos, hotel and flight prices and excursion options) and I pretty much always get my way. 🙂 What can I say? I have a gift. 3. How Do You Get So Much Time Off Work To Travel? One of the main ways Jordan and I are blessed in life is through our work situation. I’m proud to say we aren’t in corporate America and that’s how we have the flexibility to go out of town so much. You may or may not know, but my hubby is an extremely talented freelance cinematographer/photographer. He is his own boss and makes his own schedule. There are pros and cons to this because if he gets offered a killer project that interferes with our travel dates, the job comes first. But on the other hand, he doesn’t have to work nearly as many days as someone who has a 9-5 and he still makes an incredible living with an unlimited number of “vacation days”. As for me, I was blessed to land a job working for the most amazing woman in all of the world basically (Love you Leslie!!) about seven years ago. I have worked for The Blowout Co. since the day we opened and when you work for a small, privately owned company, you have a lot more flexibility with days off. Now, don’t get me wrong. I still have to plan my trips around weddings and special events because my clients/brides count on me for that, but I am incredibly blessed to not be working at some chain salon with a limit of 14 vacation days per year. I would literally die. 4. Where Are You Going Next? If you have any questions at all, or need advice about any of the destinations I have mentioned that I’ve been, please don’t hesitate to reach out! 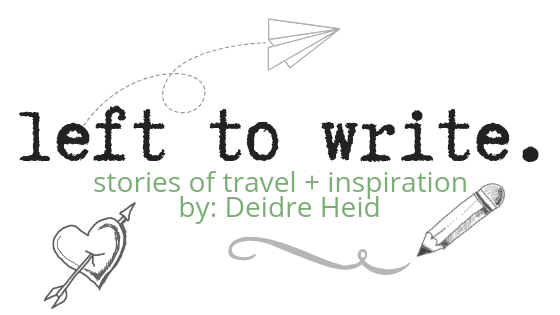 deidre@lefttowriteblog.com. Thanks so much for reading!